1) 100’s of visitors to a site. 3) Six Figures Made on 1 Site. Case Study 4: Hot niche & lots of traffic. Case Study 5: Immense traffic coming to this site. Case Study 6: Super cheap PPC ads! Case study 7: Site not making money? Do this. Case Study 8: Amazon’s little money making secret. Case Study 9: $500k Selling Stuff on Clickbank. Case Study 10: $55k from 1 website. Case Study 11: $200k from one affiliate program. Knowing how to improve and ad’s quality score on places like Bing and Adwords, can lead to you spending less, getting more clicks and better results. I’ve been doing online marketing for over 8 years. The bulk of my profits have come from PPC ads and in most of my campaigns, I’ve had a VERY high quality score (10 in many cases) and a very good CTR (30% in some cases). I’m going to show you 5 methods I personally utilize when making ads/websites which will definitely help you as well. Help improve click through s to your website (CTR). Potentially earn you more money. I’ve been able to do very well with these same tips, such as in this situation where the ad I made had a very high quality score and mixed with other good things, made that campaign a good amount of money (the amount it made). 1. Always make sure the keywords your ad appears under links to a page which actually contains those keywords. The first thing people will look for when they hit your page is if the keyword they typed into the search engine appears on your page. Some statistics say that you have about 7-10 seconds to provide enough information your site for the visitor or they will leave. Those first seconds that they are on your site are critical. 2. Always make sure the keywords you target are actually written in your ad! We well toys, accesorries for pets. Dogs, cats & all other animals. The ONLY words that will be bolded are training and dogs. Note: If you didn’t already know, whatever keyword you target, if it is in the ad, it will be bolded. Bolded words are more likely to be seen by people and can lead to a higher CTR. Everything You & Your Dog Need. Dog Training Has Never Been Easier. I guarantee you this ad will get a much higher CTR & much higher quality score. Don’t forget the 1st rule though: make sure the same keywords you are targeting link to a page which contains those keywords. That’s the first thing people will be looking for when they land on your page, followed by relevant images. So in this case, the dog training ad should link to some sort of store where dog training supplies are sold. This is HIGHLY relevant & will get you a very high quality score and low CPC. 3. Keep your adgroups short. Though there is no “limit” to how many keywords you can have per adgroup, I often notice so many new advertisers collect a list of dozens if not 100’s of keywords, bunch them all into 1 adgroup and let it run. This is a MAJOR mistake because odds are most of your keywords will not contain the same wording and you will have only 1 ad to try to get them all to bold up when it appears. Dog & training appear in all of those keywords, meaning they will be bolded if any of those words are typed into Google. As for the rest of those keywords, divide them up into separate adgroups. It’s ok to even have 1 keyword for an adgroup too. In this method you will be keeping your adgroups highly relevant. Your CTR will go up and so will the quality score. 4. Don’t target broad versions of keywords. There are 3 different ways your keyword can be targeted: Broad, phrase & exact. Broad means if you target the keyword “dog training books”, anyone who types “Dogs” into Google will see your ad. This is unlikely to get anyone to click on it, meaning you will have an ad showing under impressions where it won’t get clicked which will further dilute your CTR and quality score. Instead make sure all your keywords are targeted for exact and phrase matches. This means when your entire keyword will be typed into Google, your ad will appear which will highly increase the chances of it being clicked on. 5. I avoid using the “Content” Network if possible. Google has an extra feature of showing your ads on it’s sponsored networks whether it be blogs or other popular websites which contain Google ads. This is called the “search network” I believe. In Bing it is called the “Content Network”. I avoid using these places because: They show your ads on blogs that are NOT relevant to your keywords. This leads to your ad showing in 100’s and even 1,000’s of different places, not getting any clicks and completely diluting your CTR. Most of the time when people ask me why they have a 0.02 CTR rate, I tell them it’s probably because they have enabled the content network. I recommend turning it off. Keep your ads/keywords highly focused on your specific niche. Don’t go for traffic, go for targeted traffic! This will decrease your number of impressions and raise your CTR and thus your quality score as well. Using the content network CAN work, but you need to do other things in order to make that happen and it’s a whole other tutorial I’ll get into some other time. It can certainly seem difficult to utilize all of these methods at first, but I promise with a little practice, you’ll be able to get it down quickly. This type of stuff is very obvious once you know how it works, but most people don’t know about it and so they waste their money and see fewer than expected profits. What you just read here is the most up to date and optimal way to get your ads higher quality scores, get more traffic than your competitors and pay less in the process. And there are very few ppc advertising tutorials out there that will explain this stuff for free! I also recommend being VERY careful if you decide to try and advertise under Google adwords. Though they can be very rewarding to work with, they are also very strict on which sites/ads they allow. I personally prefer Bing ads if I’m experimenting with the profitability potential of a website because Bing is a lot more lenient and there’s more room for error, not that I’m endorsing you make mistakes. But this is a matter of opinion. When it comes to Adwords vs Bing ads, Adwords has more profit potential, whereas Bing is much easier to work with. Additional help: Use the following 2 tutorials to get lots of clicks at a very low price! 1) The first one is a PPC guide I wrote up after this one. If you take all the considerations and follow the rules I’ve laid out there, not only will you get a great quality score, but you’ll also get super cheap clicks! 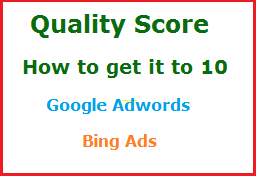 Remember that quality score is just 1 metric of a bigger set of metrics and that the better and more relevant your site is in accordance with the keywords it targets and the ads you put up, will all play a gigantic role in getting that higher rating and thus getting lower costs and better conversions! It can be both Bob, I always recommend the traffic you write ads for be the type of traffic that is in the buyer stage or at least prepared to buy something. With that in mind, if your ads link to a post on dog training, but attached to it is a link to a dog manual or at least something like a free booklet on taking care of dogs from which you collect an email list from, that will work. I am defo noting these 5 tips as I prepare for my first ever PPC campaign! As a PPC virgin these tips will help a lot. Which networks adwords or bing do you recommend that I try out first and which type of page (review or non review or capture page) and why? I’d start with Bing Derek and focus on reviews pages mainly for now Derek. In my experience pages which have something immediate such as a product or sign up page will convert best, do not promote informative pages which lead to other parts on your site, that’s wasted money. Also be sure to use this Bing guide for additional help. I just stumbled upon this post. I see it was written in 2013 and, considering how quickly things change with Google and internet marketing in general, I was wondering how relevant the information is now (February 2017)? Would you have any updates or new recommendations? I am new to internet marketing and am very interested to get your opinion because it seems you have a lot of experience. This stuff is still completely relevant in 2017 Phil. The same recommendations here are still ones I used on existing projects/ads today and they still provide the same great results. And here is proof of those results! I’m new to Internet marketing, but I’ve learned a lot from your site. I get emails from people soliciting traffic for 1 month or more and I say to myself that’s not what I want. I need and want targeted traffic in other words quality. On another note, although at the moment I don’t have a PPC campaign I know who to come for advice. Thanks. Great advice! You really made me think of ways I can improve my PPC campaign. Thanks! This is a tricky on, when it comes to ad’s. I think you have outlined all the necessary things regarding how to improve your ad’s quality! Great advice about the content network ads. I just turned mine off in bing by changing my bid to 0. I don’t want my site advertised to random traffic. There’s a “omit” type button in Bing ads where you can just select your ads to never appear on the content network. You may have it set on 0 now, but I’ve personally seen Bing ads change advertisers bids in some cases. I strongly advise just turning it off and having a peace of mind. #1 Make Money Online Program. Build Your Own Website (Free). Free 1 on 1 Coaching. Want to know the secret to making money online? It's absolutely free to join (No hidden costs). 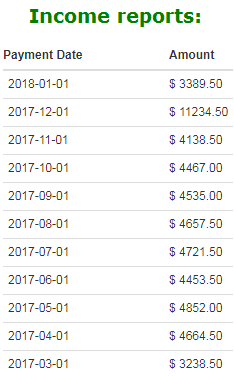 It's helped countless people make money online too (income proof below). Get expert coaching from me (included free). See how and why my #1 recommendation works.